The share of U.S. Latinos speaking español at home has gone down in the last 10 years, according to an analysis of Census Bureau data by Pew Research Center. In 2015, 73 percent of U.S. Hispanics spoke Spanish at home, which is down from 2006 when 78 percent spoke the language. While the share of Latinos who speak Spanish at home has declined, there are more Hispanics speaking Spanish in the U.S. because the population has increased. More than 37 million Hispanics speak Spanish in the U.S. and Spanish is still the most common non-English language spoken in U.S. homes. Fifty-seven percent of Spanish-speaking Latinos are concentrated in California, Texas and Florida. Miami and McAllen had the highest rates, accounting for 90 percent. Cities that have a high concentration of immigrants are more likely to speak Spanish than those with more U.S. born Latinos. 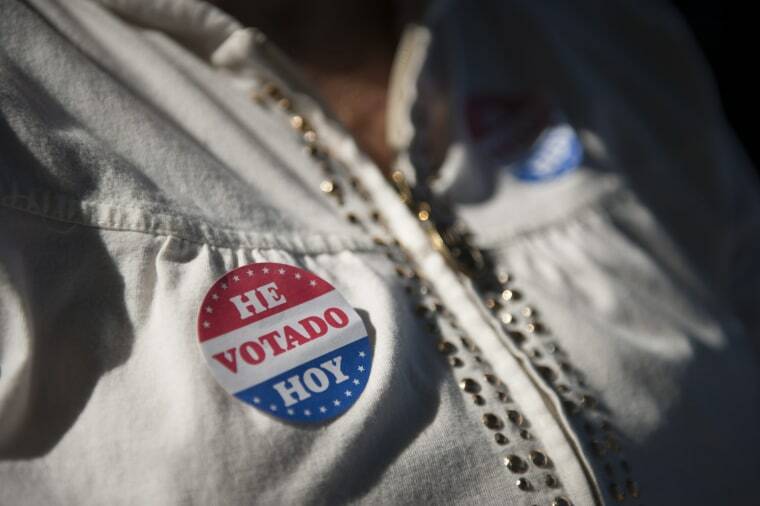 This is the case in Miami where 64 percent of the population are Latino immigrants. In McAllen, immigrants make up 32 percent of Latinos, but their proximity to the Mexico border explains their use of Spanish. Denver had the lowest share of Latinos who speak Spanish at 57 percent. The share in Sacramento and San Antonio was 60 percent. These cities also had the lowest share of Latino immigrants. The downtrend in Spanish was evident in the top 25 U.S. metro areas with the largest population of Latinos ages 5 and older. The largest decline was seen in the San Antonio-New Braunfels and Phoenix-Mesa-Scottsdale metro areas. The use of Spanish in those areas went down by 9 percent. The metro areas with the fewest declines in Spanish-speaking households were Washington-Arlington-Alexandria, McAllen-Edinburg-Mission, Sacramento-Roseville-Arden-Arcade and Miami-Fort Lauderdale-West Palm Beach. These areas only saw a decline of 2 percentage points. Despite the findings, a 2011 Pew Research Center survey found Latinos overwhelmingly agreed that speaking Spanish is a vital skill and that it’s important the next generation of Latinos speak Spanish.